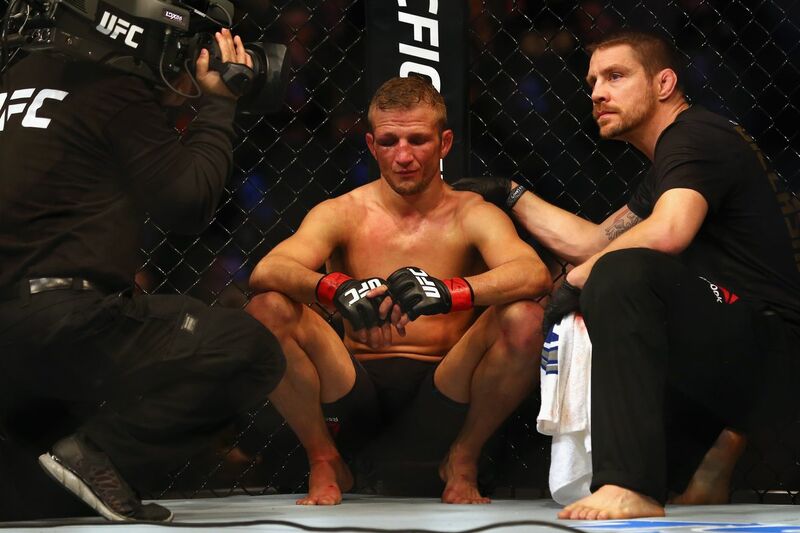 By now, we’ve heard from just about everyone in mixed martial arts (MMA) regarding the recent drug test suspension handed down to former Ultimate Fighting Championship (UFC) bantamweight champion, TJ Dillashaw, who tested positive for recombinant human erythropoietin (EPO) in the wake of his UFC Brooklyn loss to Henry Cejudo. One person we haven’t heard from was Dillashaw himself, likely because the disgraced ex-champion was too embarrassed to show his face. But it sounds like he’s ready to own up to his mistakes and wants the combat sports universe to know that he’ll spend his two-year timeout reflecting on his poor decisions, while also healing up from recent injuries. Following his departure, Cejudo has agreed to move up in weight to challenge Marlon Moraes for the vacant bantamweight strap. They’ll do the deed at the upcoming UFC 238 pay-per-view (PPV) event this June in Chicago. UFC President Dana White didn’t hold back when criticizing Oscar De La Hoya for his first venture as a mixed martial arts promoter. On Wednesday, the former boxing champion had some strong words for White in response. Ultimate Fighting Championship (UFC) President Dana White recently had some harsh words for ex-boxing champion turned promoter, Oscar de la Hoya, calling him a “crackhead junkie” for criticizing Ultimate Fighting Championship’s (UFC) pay. It’s a sentiment White found ironic seeing as how many of the combatants who competed at Golden Boy MMA 1 were paid very little (full payouts here) after Oscar promised he’d take care of fighters better than UFC. Now, the former boxing champion has fired back at White, telling TMZ Sports that White is simply threatened by the new competition in town. “Dana is so small and threatened by our success with DAZN and now in MMA that he is bringing up news from a decade ago to try to stay relevant,” said Oscar while taking a dig at White’s ventures into the boxing world. ”Boxing has entirely rejected him. And, MMA fighters are now realizing they don’t have to risk their lives just so he can get rich. Golden Boy and I are moving forward and are bigger than ever,” he added while saying the outspoken-president should worry about saving his sinking ship. Tito Ortiz and Chuck Liddell — the two men who headlined Oscar’s first event — did manage to walk away with a combined purse of $ 450,000. With pay-per-view (PPV) numbers still being tallied, De La Hoya plans to move forward despite being heavily-criticized by the MMA community after the fight. As for Oscar and White, it seems the two promoters’ once-friendly relationship is now beyond repair. Lightweight contender Poirier gives his thoughts on Diaz possibly pulling out of their UFC 230 fight in New York. Dustin Poirier did a pretty big 180 degree turn in the days following his huge win over Eddie Alvarez at UFC on FOX 30. 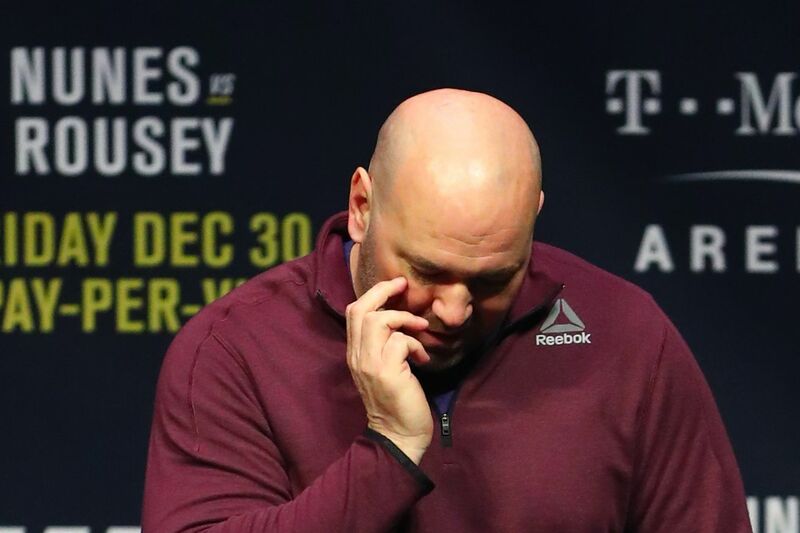 Originally, he stated he wasn’t going to even pick up the phone unless it was Dana White on the other end offering him a shot at the lightweight title. A few days later, it was revealed that Poirier didn’t just pick up the phone for a non-title bout, he agreed to it. 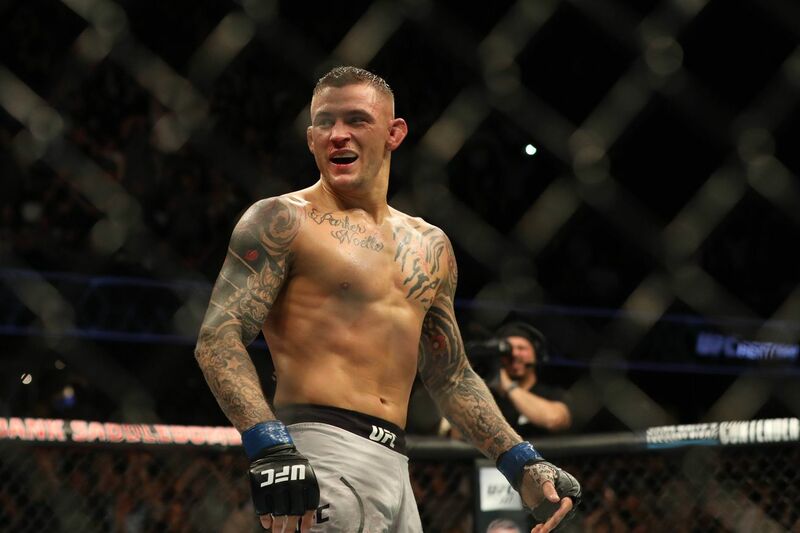 Poirier is now set to face Nate Diaz at UFC 230 on November 3rd. As for all the recent drama regarding Nate’s willingness to go through with the fight? Dustin thinks there’s nothing much to it. But Poirier doesn’t seem to care about any of that, because in the end he thinks the Diaz brothers are pretty reliable. Now we (and Dustin) have to hope Nate signs that contract. Despite not competing in professional mixed martial arts (MMA) since 2014, transgender women’s bantamweight fighter Fallon Fox is still grabbing headlines. 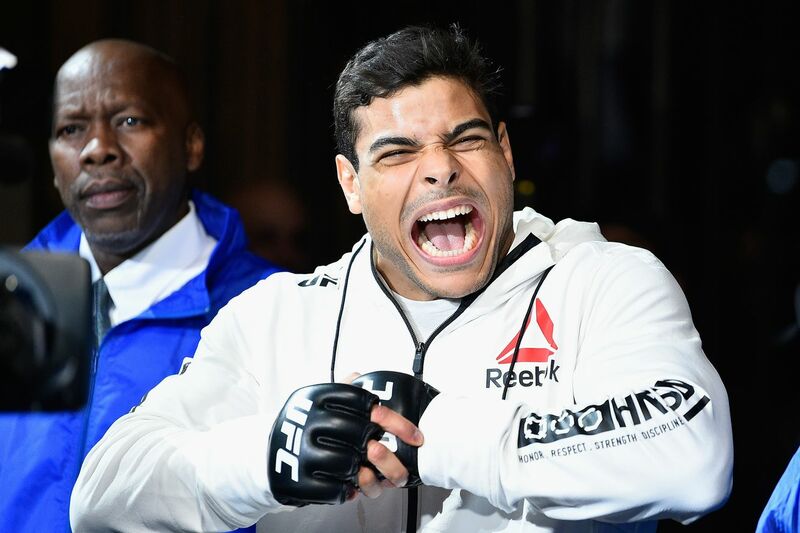 This time around, rising Ultimate Fighting Championship (UFC) middleweight contender Paulo Costa was the one to take shots at Fox during a recent Facebook video submission, offering to step in and take out the transgender fighter for free. “He was born a man, and he is a man, even though he calls himself a transsexual”, said Costa. “It’s absurd cowardice, not only by him, but also by the promoters of any event that has accepted this kind of absurdity. He has simply annihilated the girls who have fought against him. They were slaughtered, they put their lives at risk, they put their physical integrity at risk”. 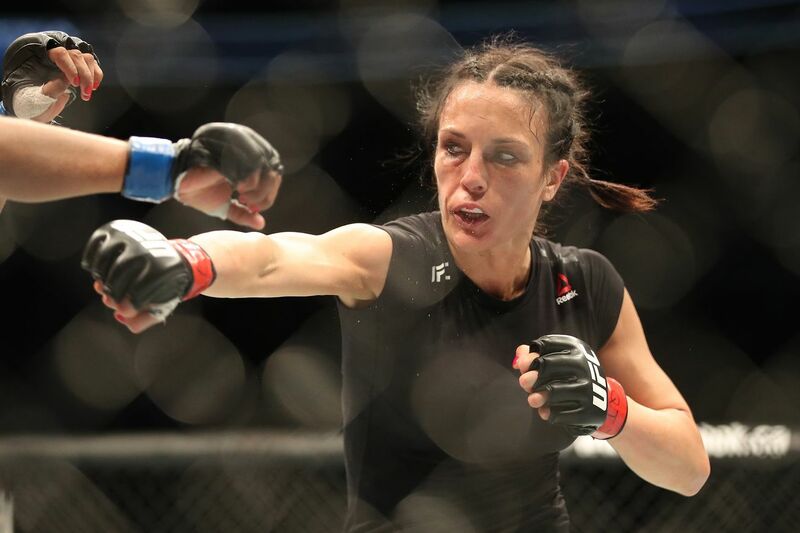 While Costa believes that Fox is taking advantage of his/her ability to compete against female fighters, the Brazilian also wants his fans to know he’s not speaking out against transgenders in general or homosexuality. As it stands today, current UFC bantamweight fighter Ashlee Evans-Smith is the only fighter to defeat Fox. But if Costa ever gets his hands on the transgender 42-year-old, that lone loss would most certainly turn into two. In his first statement since being removed from the UFC Fight Night 122 headliner, Anderson Silva did not deny taking a banned substance.